It’s been a hot minute since I’ve posted anything local. It’s also been a hot minute since the last time I went on a real hike that didn’t involve carrying a crash pad or a rope. With a supposed bad weather window everywhere within a reasonable driving distance, we opted to stay at home to attempt some Sierra peak bagging training. 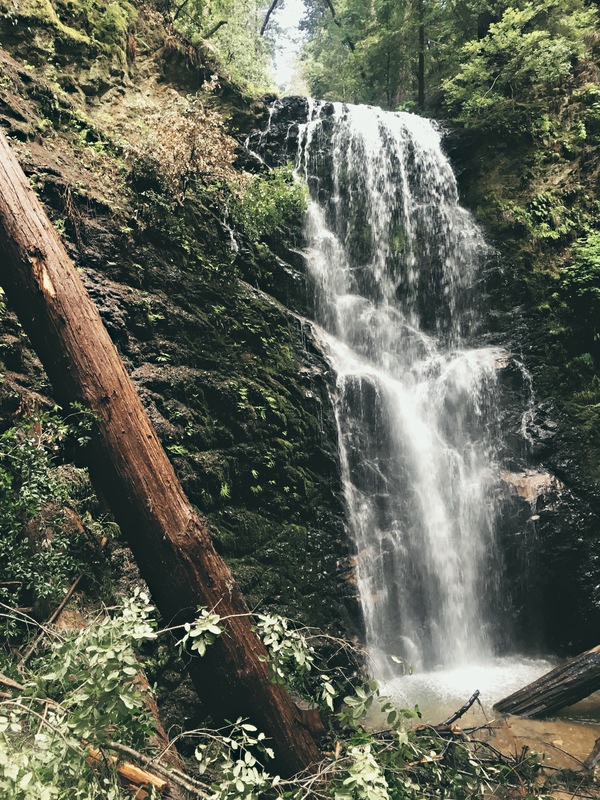 (Read: hiking and putting in miles cause it’s been forever and a day since my feet have actually hit the ground) I opted for my local favorite at Big Basin Redwoods State Park, Berry Creek Falls. 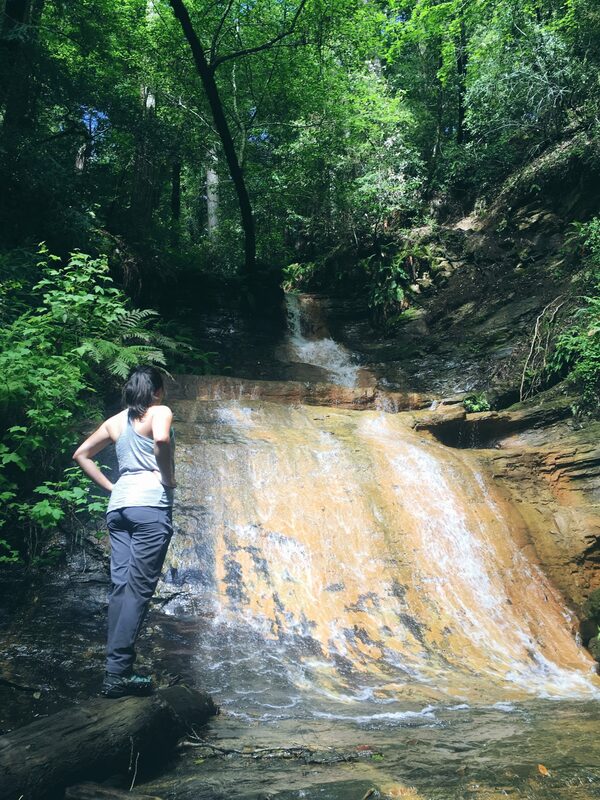 The Berry Creek Falls loop is a fairly moderate 10 mile hike with around three thousand feet of elevation gain. It’s not for the faint of heart, but it’s not as strenuous as all of the park’s posted signs make it seem. The trail is a real, beautiful and wide trail for most of the hike; there’s no chance of getting lost here unless you blindfolded yourself and walked off into some brush. It’s well maintained and sees a ton of use from Bay Area folks. Some precarious sections exist, but are protected with cables and steps. Because of its close proximity to suburbia, you’ll never be alone on the trail. We reached the trailhead at 9am and passed approximately six groups of people on the way down. I prefer to hike the loop clockwise starting on the Skyline to the Sea trail. This puts the steepest section on the downhill with a gradual climb out of the park on the way back. The clockwise portion is also mostly shaded for the entire hike until after Golden Cascade. This is also the most popular option and the quickest way to Berry Creek Falls. 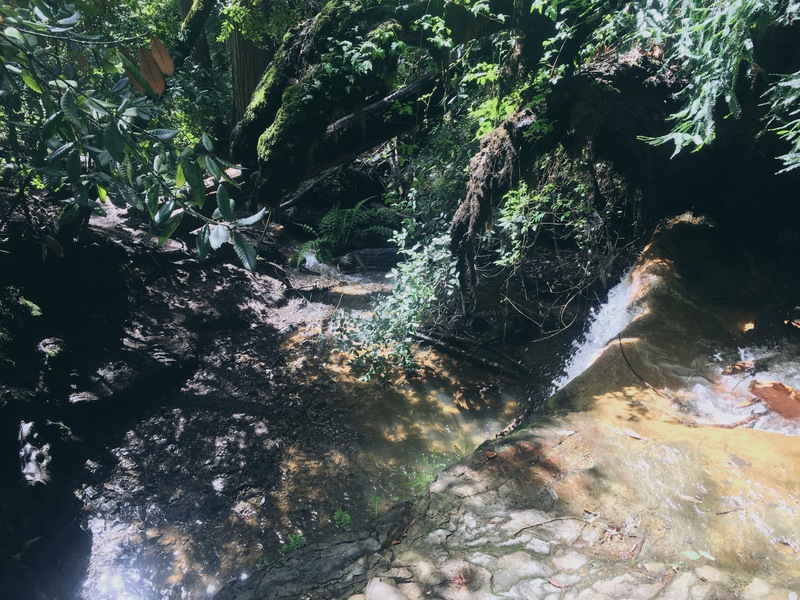 (The counter clockwise hike is available here via EveryTrail.) Don’t let the name fool you, there are two other waterfalls that this trail hits. Both are as stunning as Berry Creek. Big Basin is one of my favorite Bay Area escapes. It’s far enough to lose cell reception for the day and close enough to make your evening plans in the city with time to shower. 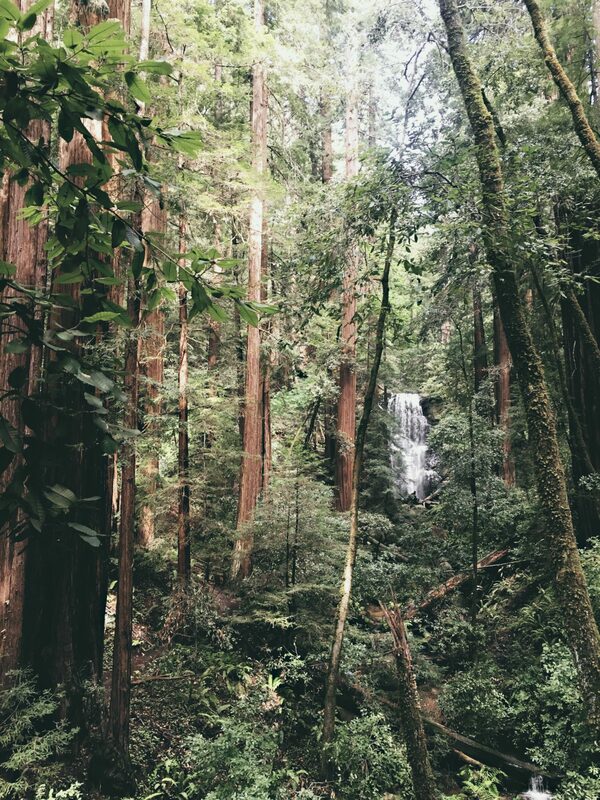 Redwood trees rival the ones in the more famous Muir Woods up north, but receive about half the traffic. Trails visit waterfalls, lookouts, and even the ocean. There’s a trip here for everyone.